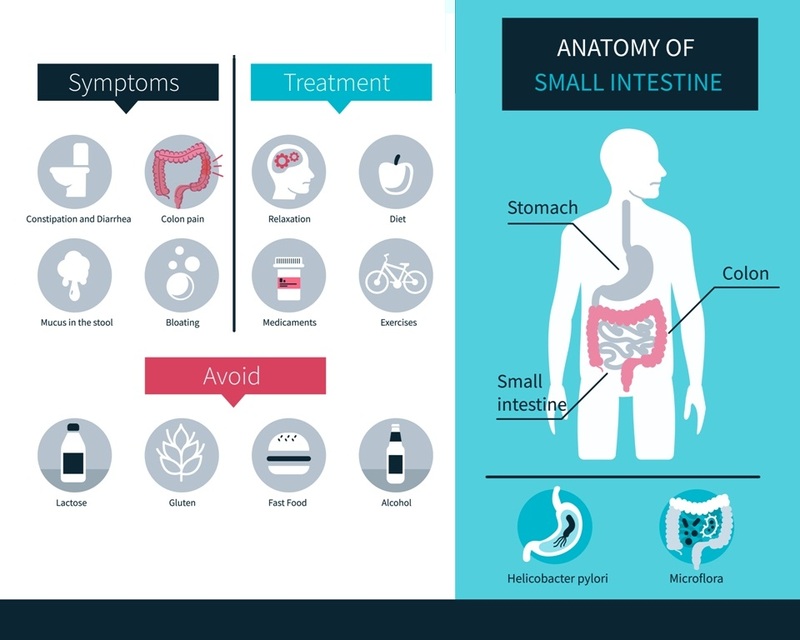 How does IBS affect your bowel? If a person is suffering from IBS, the colon (bowel) may become overly responsive to even slight disruption in the digestive system. Therefore, IBS leads to some trouble with bowel habits. IBS does not directly result in any bowel problems but its causes are responsible for uncertain uncomfortable situations. Hemorrhoids is one such condition which involves bleeding during bowel movements due to constipation, strain during bowel movement, etc. 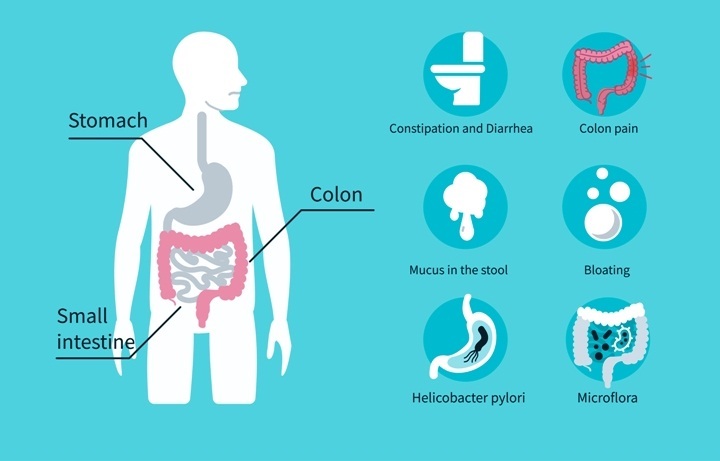 IBS is a common bowel condition that affects 10-20% of the population. It is more common in women than in men. Common signs of IBS are bloating, cramping, abdominal pain, feeling that the bowel is not fully emptied after passing a motion, etc. 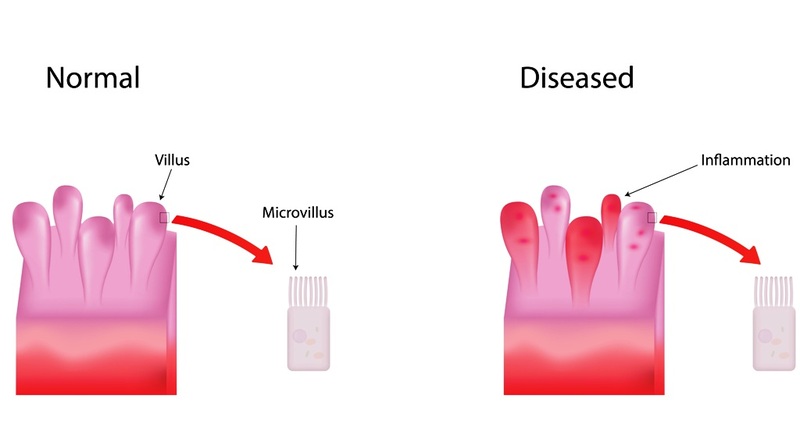 Only in few cases, severe symptoms are felt such as diarrhea, constipation, mucus in stools, etc. Managing IBS is easier with improved lifestyle and healthy diet. Reducing or eliminating common gas-producing foods, dairy foods, alcohol, etc can help as they can trigger IBS. Diet during diarrhea, constipation, bloating, etc should be monitored. Progressive relaxation exercises also help in managing the bowel problems. Medical and psychological treatments go hand in hand for an active life with IBS. IBS (Irritable bowel syndrome) is long-term digestive problem which commonly affects large intestine. It is also known as spastic colon, irritable colon, mucous colitis, and spastic colitis. It is usually a lifelong problem and the actual cause is unknown. Food allergy, stress, hormonal changes in women, etc increases the risk of IBS. Common symptoms of IBS are pain in abdominal pain, stomach cramps, bloating, excessive gas, diarrhea or constipation, mucus in the stool, etc. Other associated symptoms are farting (flatulence), feeling sick (nausea), backache, etc. 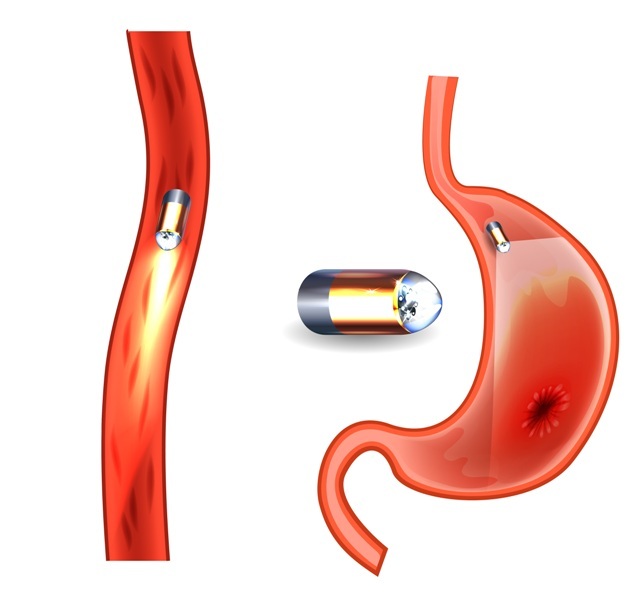 Capsule endoscopy is a procedure that uses a tiny wireless camera to take pictures of your digestive tract. This helps in the diagnosis of GI problems such as esophageal cancer and Crohn's disease, irritable bowel syndrome (IBS). Capsule endoscopy (CE) has recently developed as an important procedure in the investigation pathway of patients with suspected IBS. In a capsule endoscopy, the patient swallows a capsule which contains a camera which views the digestive tract for signs of irritable bowel syndrome. Irritable bowel syndrome (IBS) is a common disorder that affects the large intestine. The exact cause of IBS isn't known. 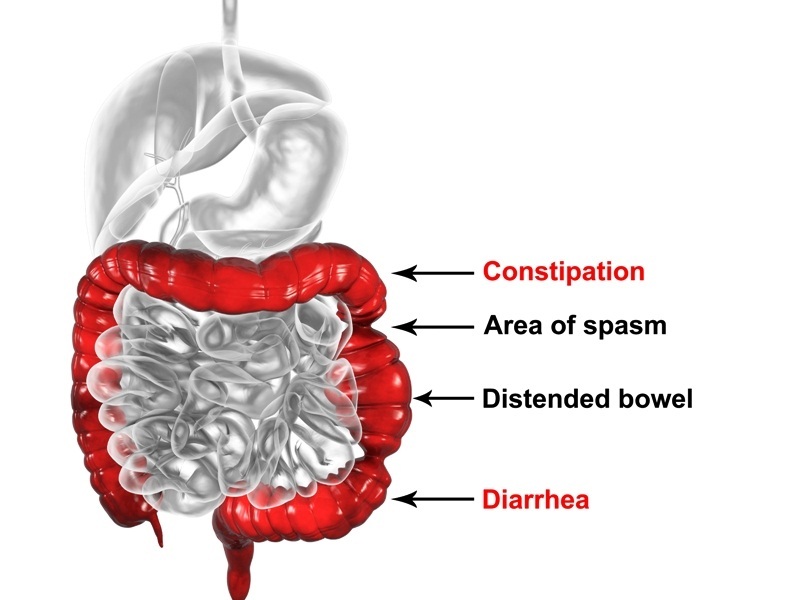 It is believed weak intestinal contractions can slow food passage and lead to hard, dry stools causing IBS. Inflammation in the intestines can also lead to IBS. Factors that may cause IBS include severe infection, inflammation, constipation (hard stools), and abnormalities in the nerves in your digestive system. The walls of the intestines are lined with layers of muscle that contract as they move food through the intestines. Stronger contractions (spasms) that last longer than normal can cause gas, bloating and diarrhea. 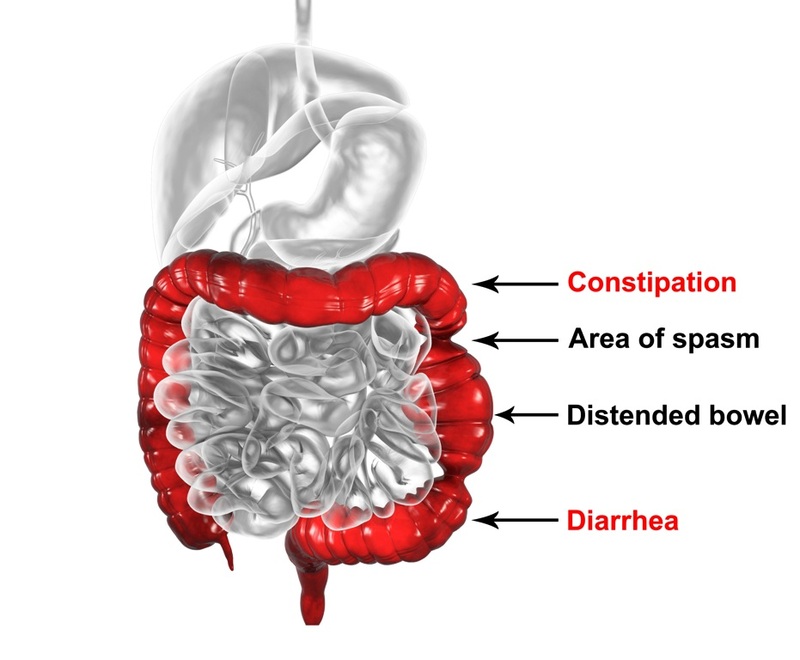 Weak intestinal contractions can slow food passage and lead to hard stools (constipation), which can also lead to IBS.